Only a resolute century from Cheteshwar Pujara prevented Australia from demolishing India on a good batting surface on day one of the first Test yesterday. 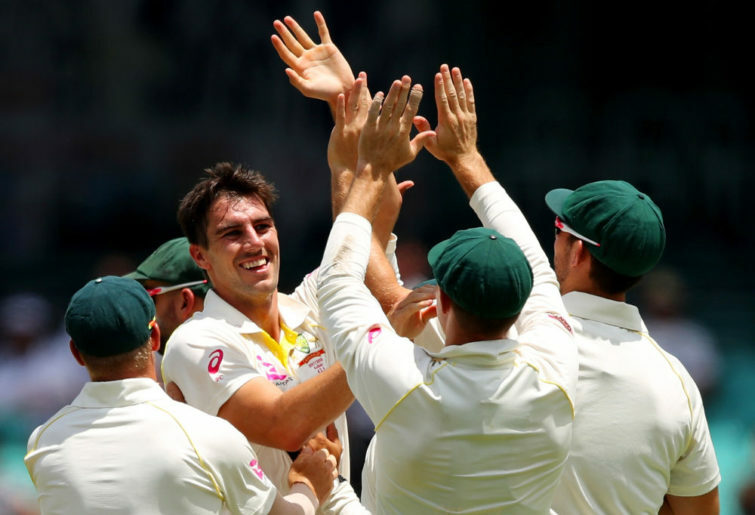 India were on their knees at 5-86 early in the second session after gifting wickets to an Australian attack which was bowling with a fine balance of aggression and discipline. At that stage Pujara was on 19no from 87 balls, batting from so far within his shell that he looked like a hibernating turtle. 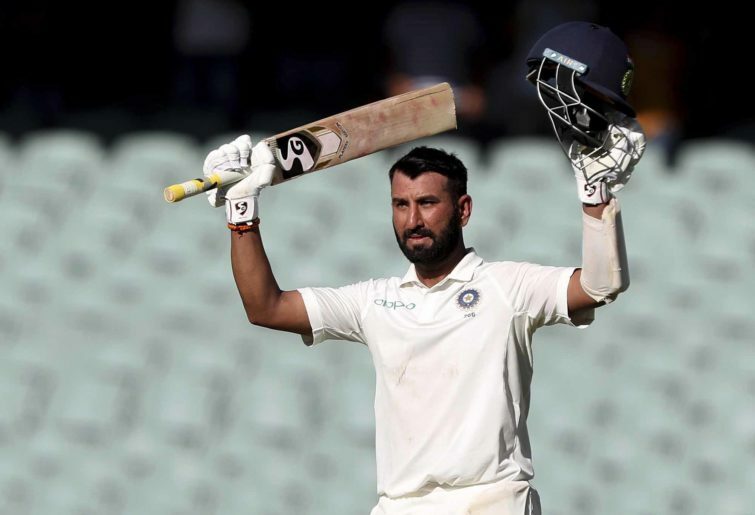 Not only was Pujara diligently defending each delivery which posed any level of threat to his stumps, but he was steadfastly ignoring wider balls, even those which presented gilded scoring opportunities. His intent was clear – grind and grind and grind until batting became easy. It was old school Test match stuff, the kind of stubborn batsmanship which has become increasingly rare. By the tea break Pujara had eked his way to 46 from 141 balls, which equates to a scoring rate of just 1.95 runs per over. Then, just as he had planned and hoped, the game opened up for him. He cantered along in the final session, adding 77 from 105 balls. It took a sensational piece of fielding to finally dismiss Pujara when big pace bowler Pat Cummins gathered the ball at mid-on and, with a quick release, hit the stumps from side on. That left India at 9-250 at the end of play, a total which looks well below par on a surface which has appeared easy for batting once the new ball is negotiated. Then again, Australia have a vulnerable, inexperienced batting lineup so India will know Pujara’s vigil has brought them back into the contest. The tourists had looked in danger of being blown away for less than 150, which would have handed Australia a dominant position. While the Australians bowled well and fielded to an exceptionally high standard, it was cavalier strokeplay which landed India in this early mess. KL Rahul was the first man to go, caught at slip against Josh Hazlewood after attempting a loose drive. While that stroke looked awful at the time it became less and less so by comparison as Rahul’s batting colleagues played a sequence of horrendous shots. His opening partner Murali Vijay wafted at a wide tempter from Mitchell Starc and got a fine edge through to Australian wicketkeeper Tim Paine. Then Kohli, the lynchpin of the Indian batting lineup, played one of the rankest shots of his Test career to donate a wicket to Pat Cummins. Kohli aimed a hopelessly optimistic drive at a delivery two foot outside off stump, with his edge flying to gully where Usman Khawaja took an extraordinary catch. With Australia’s quicks having picked up one wicket apiece spinner Nathan Lyon came into the fold and posed an immediate threat. Lyon troubled both Pujara and Ajinkya Rahane in this spell, with Rahane twice inside-edging the ball just wide of Peter Handscomb at short leg. Rahane then became the fourth Indian batsman to get caught behind playing a loose drive, with Josh Hazlewood having him pouched at second slip by Peter Handscomb to leave India teetering at 4-41. That brought to the crease white ball star Rohit Sharma, who was looking pretty good on 37* before his ego got the better of him. When Lyon came into the attack Rohit decided that he deserved to be hammered. Instead of getting a good look at the off spinner he tried to thump his second delivery out of the ground and was caught on the boundary by Marcus Harris, whose foot landed over the rope, handing Rohit a reprieve and six runs. The ever-confident Rohit then tried to charge down and smash Lyon’s very next delivery, succeeding only in skying a catch to Harris. It was the definition of braindead batting. Completely ignoring the earlier mistakes of his five batting colleagues, young wicketkeeper Rishabh Pant then emerged and played an entirely undisciplined innings. Rather than knuckling down, as the scoreline of 5-86 demanded, Pant indulged himself and batted as if he was in a limited overs match. His innings of 25 included a litany of play-and-misses and needless heaves. When finally Pant’s luck ran out India were 6-129 and in desperate need of somehow halting Australia’s momentum. Pujara (123 from 246 balls) and spin all-rounder Ravi Ashwin did just that, nudging and nurdling their way to a crucial stand of 62 from 25 overs. After Cummins dismissed Ashwin Pujara was left with the tail and upped the ante in impressive fashion. Apart from Starc, who was all too often wayward, Australia bowled extremely well yesterday. Hazlewood was back to his precise best and earned some tantalising outswing. Cummins was relentless, offering the Indian batsmen few boundary balls and consistently testing their defence. Lyon, meanwhile, operated with lovely loop and bowled significantly better than his figures might suggest. They were backed up by the best fielding performance I have seen from Australia in a long time. The dismissals of India’s two best batsmen Kohli and Pujara were the result of seized half chances. Had Australia not made the most of those opportunities India may have marched to a strong position on a fine batting pitch.